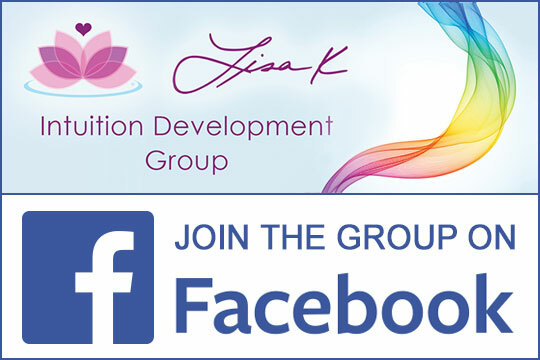 I’m Lisa K., creator of Developing Your Intuition, a system that helps people master their intuition so they can draw on it when they want, with detail and clarity on anything they want to use it for. Many of my students have successfully used their intuition to help with decisions in their daily life to manifesting more abundance and an ability to receive inner wisdom. I developed my own intuition to the point where it has led me to amazing results including saving my life. I am always comforted knowing I can rely on my inner guidance by knowing how it works, and how to tap into it when and on what I want. I’ll tell you a secret, as a child I was NOT intuitive, I had no intuitive experiences, and I didn’t see spirits at a young age. I really wanted to be intuitive and heard everyone has intuition. But it didn’t seem to be for me. In fact, when I tested my intuition with ESP (extra sensory perception) cards, I got them all wrong. At that point I decided I was not intuitive. I have always been infinitely curious and highly inquisitive. When I was 8 years old, I had a burning desire to know how the world worked and why we were here. I figured if I knew why we were here and what God wanted me to do, I could live a better life. Intuition seemed like magic that spoke to you as inner wisdom that came from divine sources. Later I learned great spiritual philosophies said that inner guidance or inner knowing did come from the divine and that if you followed it, you would live a better life. Perhaps even become enlightened. Coupled with my passion to understand how things worked and learning how to live a better life, I studied science then engineering and along the way I learned about inner spirituality. My science education covered all the basic sciences including biology, chemistry, psychology, physics and mathematics and my engineering studies focused on technology and electrical engineering. After getting degrees in Psychobiology from the State University of NY and Electrical Engineering from Columbia University, my corporate life involved working for small startup firms to large conglomerates and Fortune 100 companies around the world. I put this knowledge about intuition together with what I learned in science, engineering and spirituality and found myself being an intuitive reader for others. While I never intended to do intuitive readings for other people, I fell into it and found that I was quite successful at public events where my appointment slots always sold out. I no longer do readings for others and only teach now. For myself, I developed my intuition to the point I could use it when I wanted and what I needed it to work on, and one day it actually saved my life. You can hear my intuition life saving story in a radio show interview on WHUD 100.7 on my website home page. I now teach others like you how to develop your intuition so you can become highly intuitive and enhance your life with inner divine guidance. I’m probably better than most other teachers because, like you, I started from scratch. I had to learn step by step what works without being a natural born intuitive. Showing you how to develop your intuition is much better than giving you an intuitive message. I would much rather teach you how to get your own intuitive messages for yourself because then you’ll be able to use your intuition any where, any time you need it and what you need it for. Intuition is our inner divine guidance, it is the way the Universe communicates higher wisdom to us. It can save our lives and lead us to enlightenment, and who wouldn’t want that?